When businesses grow beyond a single location or require physical sites in multiple places, it becomes more important than ever to effectively coordinate dispersed resources. A powerful multisite VoIP system is vital to realizing seamless inter-branch connectivity and enabling easy real-time exchange of information for business to perform business core tasks. In this case of TASK Clinical Research Center in South Africa, Yeastar helps to liaise 6 medical sites dispersed throughout the region and deliver a complete range of call functionalities that empower intelligent inter-office call handling and nimble healthcare communications. With Yeastar’s easy-to-use, all-inclusive VoIP solution, the organization has risen to new levels of multibranch collaboration, business efficiency, and slashed telephony costs. Found in 2005, TASK Applied Science (TASK) is a clinical research center in Cape Town, South Africa with a focus on performing clinical trials in tuberculosis (TB). TASK now employs over 180 staff members, has invested in state-of-the-art bio-safety level 3 laboratory capacity as well as 6 dispersed clinical sites in Cape Town. TASK’s biggest driver was to engineer a comprehensive multisite communication system and cut costs on inter-branch communications. The organization’s existing traditional telephony lines was too costly to handle a large volume of daily calls. And the existing outdated phone system barely met their need of automatic call distribution and lacked the ability to allow direct call from one branch to another. The clinical research center was in urgent need of a new telephone system that was competitively priced with rich standard features to suffice its healthcare and research facilities. Also, for the system management, it should be easy to deploy, simple to maintain, and require no extra IT investment on administration and maintenance. Considering the state-of-the-art architecture of Yeastar Solution, TASK decided on the deployment of the Yeastar S-Series VOIP PBXs at its head office and branches to accommodate their telecommunication requirements. With the help of uThetha Telecoms, one of Yeastar’s value-added partner in South Africa, the solution was deployed fast and easily. In total, one S300 IP PBX, two S20 IP PBX, and four S50 IP PBX were deployed in the organization’s 6 dispersed sites. These S-Series IP PBX have coordinated with the existing telephony infrastructure seamlessly. They helped build a corporate communications network that interconnects multiple sites with the advanced Multisite Interconnect feature and slashed the organization’s telephony costs via free inter-branch calls. In addition, S-Series’s rich telephony features like auto attendant, call recording and Linkus mobile clients greatly streamlined the organization workflow without extra costs. – Werner Ackermann, Information Technology Manager of TASK. TASK’s 6 clinical sites were seamlessly interconnected by multiple S-Series VoIP PBXs deployed. 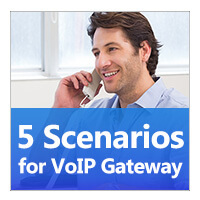 The whole multisite VoIP interconnecting process was a breeze. 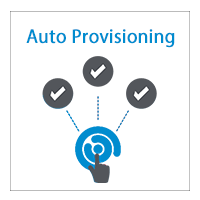 Thanks to the S-Series’s advanced Multisite Interconnection feature, no Static Public IP address or port forwarding configuration was required on the branch office. And the chore of creating sophisticated inter-branch trunks or call routes was also eliminated to massively save time and efforts. After setting up the multisite communication network, 7 PBX systems in 6 sites were united as a single entity. As a result, staffs can now call other offices or clinics easily at no cost, as they simply dial in the extension rather than an external number. And inter-branch call conference and call transfer are also seamless that breaks the boundaries separating TASK’s remote teams. Clinicians and researchers in the organization now can share information across the various offices far quicker and with greater ease than before. More benefits brought by Yeastar multisite interconnect can be learned here. “The Yeastar implementation at TASK’s corporate sites and the migration was seamless. ” – Werner Ackermann, Information Technology Manager of TASK. Auto Attendant. To manage a large volume of incoming calls, the organization was provided with an auto attendant function, which now facilitates their requirement of managing call queues and then directs callers of different needs effectively by choosing keypad options relative to them. Mobility. With Yeastar Linkus unified communications softphone to coordinate with S-Series VoIP PBX, researchers and clinicians can remain in the constant touch with each other regardless of their locations. This ensures incoming calls be received and answered promptly, which can be crucial when it comes to an emergency. Call Recording. Call recording has helped as a reference for queries and complaints whilst complying with some legal obligation to record calls. Automatic recording and one-touch recording features are offered to support flexible call recording and easy fetch of recording files. Reliable, secure, and easy to use, Yeastar S-Series VoIP PBX arrives plug and play ready. It supports mainstream IP phone auto-provisioning and is easy to manage with an intuitive Web GUI. With graphical interfaces, adding users or make system changes can be finished with simple point-and-click configuration. There’s no need to hire a telecom expert or to divert IT resources from more strategic tasks for the administration of the system. 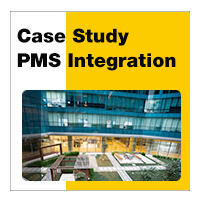 In this case, the centralized management of multiple systems is possible. Technicians in headquarter will be able to manage all S-Series VoIP PBXs deployed in the branches. They will be able to define the number ranges of extensions within all IPPBX systems, making full use of technician resources in the central office. In additions, the robust PBX and Resource Monitor feature allows you to check the status of trunks, extensions, network and storage usage in real time. Also, the built-in event notification feature ensures that administrator gets instant alerts via email, SMS, and phone call when specific system events or errors occur, greatly reducing administrative burdens.